Addendum to the previous story: an “end user” and an “application” are not the same thing. Watching comments from some users dumping on Firefox and Opera because they don’t understand this is painful. Watching it come from journalists is even more so. There seems to be a fundamental misunderstanding about what today’s announcement met. The “free” applies to end user, free, “broadcast” Internet video. It doesn’t apply to the tools you use even to view that video – including Firefox. Here’s the deal: today’s “free forever” MPEG LA announcement was mostly a PR coup. It changes very little: critics of the use of the patent-encumbered, royalty-bearing format in HTML5 video were aware that the free end user license might be extended. But, boy was it a PR coup, because the words “forever free” starting spreading around the Web, and some people got the wrong idea. You’re not free to use MPEG LA’s technology as a content publisher if you want to use H.264 as your distribution format for on-demand or for-sale video. More importantly, you’re not free to ship H.264 encoders or decoders. 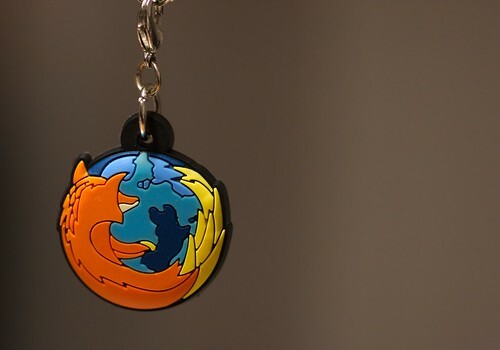 Mozilla’s Firefox browser doesn’t currently support HTML5 video (via H.264, that is -Ed); the uncertainty of H.264’s licensing future meant Mozilla wanted to stick with Ogg Theora, a video codec Mozilla believed would be unencumbered by patenting issues. With MPEG LA’s announcement that H.264 will be royalty-free in perpetuity, it’s likely only a matter of time before Firefox joins browsers like Safari, Chrome, and Internet Explorer 9 in fully supporting HTML5. The headline’s wrong: Flash already has an H.264 license; the browsers don’t – so it isn’t a Flash issue. Nor is it an HTML5 issue. HTML5 doesn’t directly support any video codec because no one can agree on what the format should be – partly because of patent-encumbered H.264, which is just as patent-encumbered and license-fee-ridden today as it was yesterday. It’s wrong because cross-browser support for codecs remains at an impasse: Apple is mum on WebM support in Safari, meaning Apple is currently the biggest immediate roadblock, as every other major browser has pledged WebM support (Microsoft via a more lukewarm commitment to separate codec support). That’s not to solely blame Apple: patent disputes could sink WebM, too. But the folks backing WebM are certainly hoping to keep it patent- and royalty-free. And lastly, the author apparently didn’t get the memo that Firefox now backs Google’s WebM container and VP8 codec, not exclusively OGG and Theora. If you actually read the reasons Mozilla isn’t supporting H.264, you’ll see this particular end user issue cited almost as a footnote to a whole litany of more significant problems with having to license a proprietary, encumbered format. That certainly qualifies as potent wishful thinking, for the reasons already mentioned. With vocal support not only from the Mozilla Foundation, but Opera and the entire open source community, H.264 is far from universally-accepted, and with good reason. Friedman, like Rawson, I think just misreads the announcement. By contrast, Cade Metz, writing for The Register, gets the details exactly right – and talks to Firefox rather than speculates. The answer: Hell, no, we won’t support H.264. The Mozilla Foundation’s VP of Engineering, Mike Shaver, not only sums up why this doesn’t change Mozilla’s position, but adds a nice zinger: don’t expect H.264 to even matter in four years. Though WebM uses a royalty-free license, the MPEG-LA has said it’s “looking into” a patent pool that would challenge its royalty-free-ness. And apparently, this jibes with the thinking of Apple CEO Steve Jobs. But Google is confident that WebM can stand up to pressure from patent holders — and clearly, Mike Shaver is too. In other words, the playing field is lined up: Apple’s Safari is the one browser without any announced support for WebM as the new standard. (Even Microsoft is tentatively on board, albeit with a separately-installed VP8 codec.) And the current landscape could mean pitting Google and the free software community on one side, Apple and MPEG LA on the other. That’s the future, and requires a bit of speculation. But the fact that H.264 still doesn’t really work for free software – that’s (for the present) simply reality. Microsoft and Apple. As Nanairo notes in comments, it’s possible that you’ll be able to install an external codec on Safari for Mac and be able to get WebM+VP8 support that way. But only Microsoft has committed at this point to that support; Apple has been silent. Of course, what would be really good news for VP8 is if Microsoft added VP8 codecs in-box in Windows, as it has done with H.264; that may depend on how the rest of this shakes out and whether VP8 becomes a patent target. (Ironically, one thing that would make it a more likely patent target is if Microsoft shipped VP8 codec support in-box in… okay, yeah, you see why this is such a pain. Apple and Safari. I don’t mean to imply that Apple’s reticence regarding VP8 and WebM should be surprising. On the contrary, it’s not hard to see why Apple would avoid the format. The codec and container are far from technically perfect, and may not achieve the same output quality as H.264. Apple’s already paying for an H.264 license. Taking on VP8 – as with OGG Theora before it – could mean taking on patent liability. Equating Apple and MPEG LA would be just as incorrect. Apple’s stake in the AVC patent pool is relatively small. But that means they are shelling out licensing fees as it is. The status quo is always easier to support than a change, let alone one that introduces new technical and legal issues. There just isn’t a single, easy answer on this – neither H.264 nor VP8. It’s simply that, from the perspective of those who want unencumbered and open source solutions, WebM and VP8 is the best compromise, and a major leap forward from OGG Theora. MPEG LA and PR. I also certainly didn’t mean to imply that MPEG LA was saying something misleading or untrue. Everything in their press release is factually correct. They explicitly refer to the limitations of the “free” license they’re describing. The problem is, some people didn’t carefully read this press release, or the logic expressed by the Mozilla Foundation in defending their decision. But there’s a lot of wishful thinking around this issue on all sides.